Print Screen is a term that lost its original meaning decades ago. Back in the MS-DOS era, before computers had graphical user interfaces, the Print Screen key would indeed send the contents of the current screen to the printer. Today, the Print Screen button triggers a screenshot The Ultimate Guide on How to Take a Screenshot The Ultimate Guide on How to Take a Screenshot Most people would think taking a screenshot was a simple and straightforward process, and that it would be much the same on every platform they encounter. Well, they'd be wrong. The process of taking screenshots... Read More , meaning it captures a still of your screen and temporarily stores it in the clipboard. Actually printing a screenshot takes a few more steps. In return, this offers opportunities for editing and optimizing the image. Combine that with shortcuts and third party software and you have a powerful tool of the 21st century at your fingertips. The easiest way to send a document or the content of a window directly to a printer, is using the keyboard shortcut CTRL + P. This requires an installed printer and that the respective window offers a print option under said shortcut. All this in place, you should see a preview of the print job, be able to select a printer, and adjust settings. Note that in Windows 8, printing has changed Printing Has Changed In Windows 8: Here's What You Need To Know Printing Has Changed In Windows 8: Here's What You Need To Know Printing has changed in Windows 8 – there’s now a standard way of printing in every Modern app. However, like many things about Microsoft’s new Modern interface, printing is not immediately intuitive for many users,... Read More . Modern apps don’t have a file menu. Instead, printers are found under Devices, which can be accessed via the charms bar. Sometimes, the preview won’t contain the information you actually meant to print. For example, if you tried to print a question on MakeUseOf Answers, you might find that the comments are missing (hopefully, we’ll fix that soon). Other times, the preview will contain way more information than you need, for example sidebars or ads. In that case, you’d be better off looking into tools that print only what you want 3 Easy Bookmarklets to Print Nice Looking Web Pages Without Craplets 3 Easy Bookmarklets to Print Nice Looking Web Pages Without Craplets Printing information from the web is often a challenge because websites are plastered with sidebars, images, advertisements, and other unprintable elements. What makes a website look fantastic is a real drag when printing because all... Read More , like the adequatly named website PrintWhatYouLike (bookmarklet). This tool will let you print to a PDF or directly to your printer. You could also use a PDF printer to always print to a PDF file How to Print to PDF From Windows 8 Desktop & Modern Apps How to Print to PDF From Windows 8 Desktop & Modern Apps It's the digital age and you should stop printing to paper! Print to PDF instead. This article briefly discusses the advantages of PDF over paper and demonstrates how to print to PDF in Windows 8. Read More , rather than taking a screenshot, which equals an image file. If you want to print or capture all of the content you see on your screen, take a screenshot. This is where the Prnt Scrn or PrtSc button, aka print screen or screenshot comes in. The button is typically found in the top right of the keyboard; on full sized keyboards, you’ll find it in the small set of keys between the main keyboard and the NUM Pad. On laptops, you might have to click the Function (Fn) key in combination with the PRNT SCRN key to take a screenshot. Generally, this won’t actually print your screen, but rather save the image to your clipboard 10 Incredibly Useful Clipboard Management Utilities [Windows] 10 Incredibly Useful Clipboard Management Utilities [Windows] Copy and paste is one of the best features we have at our fingertips, especially when combined with keyboard shortcuts. You can’t argue that copying and pasting is one of the most common things we... Read More , Windows’ temporary storage location. From there you can paste it into a document or image editing tool, edit, and finally print it. We’ll get to the details in a moment. Note that by itself, this key will capture your entire screen, which might not be what you intended. Microsoft added a screenshot utility to its Accessories; it’s called Windows Snipping Tool. In Windows 7, you’ll find it under > Start > All Programs > Accessories. In Windows 8, search for Snipping Tool from the charms bar to find it. It offers four screenshot modes: free-form snip, rectangular snip, window snip, or full-screen snip. 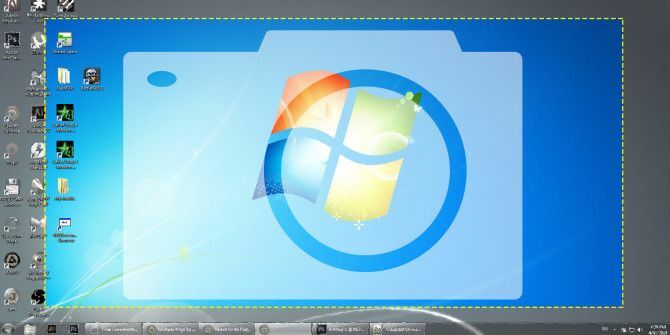 I have covered the tool in more detail in my article on how to take awesome screenshots in Windows 7 How To Take Awesome Screenshots In Windows 7 How To Take Awesome Screenshots In Windows 7 In principle, taking a screenshot is very simple. With the right technique however, you can save yourself a lot of time and hassle and greatly improve the look of your screenshots. In this article I... Read More . A small trick allows you to take a snapshot only of the active window; it’s pressing the ALT key while taking a screenshot using the Print Screen button. Sometimes, this also works for taking a screenshot of menus. Most times, you will notice that the menu disappears as soon as you hit the ALT key; that’s because ALT + F triggers opening and closing of the file menu. Occasionally, opening the menu using ALT + F, not releasing the ALT key, but clicking the Print Screen button is a workaround. Usually, it doesn’t work, especially for submenus. In that case, either do a regular screenshot and crop the resulting image, or use a third party screenshot tool. You can transfer a screenshot from your clipboard by pasting it into a document or an image tool like IrfanView (our review View, Resize, & Manipulate Image Files With Classic Utility IrfanView [Windows] View, Resize, & Manipulate Image Files With Classic Utility IrfanView [Windows] We all work with image files, all the time; be they graphics for the Web, corporate images for work, or just holiday snaps. These days there are more digital images than ever before. Windows comes... Read More ). If you’d prefer to use a default Microsoft tool, use Paint to edit and enhance your screenshots How to Edit & Enhance Screenshots in MS Paint How to Edit & Enhance Screenshots in MS Paint Read More . Simply open the desired document or tool and click CTRL + V. At this point you can edit the image 7 Free Apps to Batch Edit, Resize, & Rename Images 7 Free Apps to Batch Edit, Resize, & Rename Images Some of the most common edits your images will have to go through are simple things such as resize, rename, format conversion, basic color fixes, etc. While you can’t be expected to sit through an... Read More , for example crop it, and save it to a file or print it directly from within the respective software using CTRL + P as described above. In Windows 8, you can save a print screen directly to a file using the key combination Windows + Print Screen. The image will save to the Screenshots folder under My Pictures. Chris has compiled more Windows 8 specific shortcuts Every Windows 8 Shortcut - Gestures, Desktop, Command Line Every Windows 8 Shortcut - Gestures, Desktop, Command Line Windows 8 is all about shortcuts. People with touch-enabled PCs use touch gestures, users without touch devices must learn the mouse shortcuts, power users use keyboard shortcuts on the desktop and novel command-line shortcuts, and... Read More . I cannot imagine many situations in which you would really want to do this, but if you have to, your best bet is to configure a third party tool for this task. Most print screen utilities 4 Best Tools For Creating Screenshots Compared 4 Best Tools For Creating Screenshots Compared CTRL + SHIFT + 4. Three keys - that's all you need for perfect screenshots. It doesn't need to be a hassle! Try these advanced screen capturing tools and you won't ever look back. Read More allow you to almost do this, with just one intermediate step; I highly recommend allowing this step for editing a screenshot over a setup that potentially just wastes paper Don't Throw That Old Printout Away! 21 Projects For Used Paper Don't Throw That Old Printout Away! 21 Projects For Used Paper Think about it – you probably waste a lot of paper. Don’t take it personally, most of us do. But have you ever thought about what you could do to make use of some of... Read More . Printing or taking a screenshot is a simple task with many possible modifications. If you take many screenshots, it’s worth looking into third party tools, setting up hotkeys, and optimizing your workflow. For the occasional screenshot, whether or not you actually need to print it, keyboard shortcuts and Windows default tools will do the job just fine. What do you use to print online content or take screenshots? Explore more about: Printing, Screen Capture. Samsung Delays Galaxy Fold Launch Citing Need For “Further Improvements”What Is Net Neutrality & Why Should I Care? We use XP at the petrol station i work at and in the mornings we 'used' to Press the PrtSC button and it would actually print the whole page. However we have lost the use of it again. Someone fixed it but now its not working again. It was mighty handy as the pc is heavily locked down and it was way easier to print it quickly so we could transfer the figures later. Also third-party programs are out of the question. Cant even access paint. I'm out of ideas and everything online seems to make out that we were the only ones able to directly print with the PrtSc button. Sounds like someone created a custom shortcut that linked the PrtSc button to the printer. Maybe it was a feature of the printer? Did it print instantly or did it bring up the printer menu? LightShot is a best free application available for Windows, Mac and Ubuntu users to take screen shots of any thing from their desktop by just two clicks. 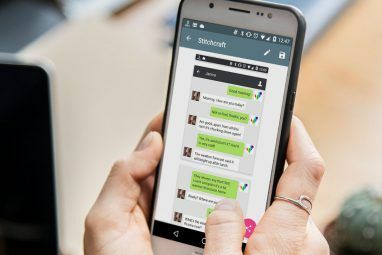 It is the most widely used app for taking screen shots having each year about more than 5 Million Screen shots uploaed and the no. is also increasing day by day. I use Lightscreen. 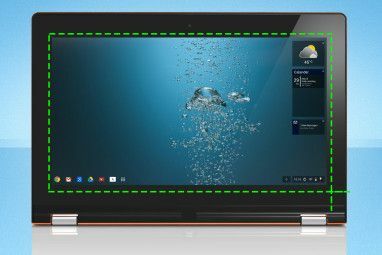 It's a small, light screen clipping tool that allows you to capture the whole screen, the current window, or an area of the screen. It can save the screenshot in various formats and automatically save them to a location of your choice, or store them on the clipboard. I prefer either the Windows Snipping Tool or OneNote. If you have MS Office, then you have OneNote. It lets you quickly capture screen shots into OneNote itself & automatically references where they came from, or put them on the clipboard. It also does not close up menus when you are trying to capture them - something which is a little trickier to do with the Win Snipping Tool. Thanks for the OneNote tip, Wendy! I just figured there are more than that one way to do it, like to catch just the open window using the ALT key +, and not just the WIN+ key. I have Windows 8, and the only way I can take a screenshot is with the windows key+ print screen key. Is this a win 8 problem? I am asking this here, because the answer site won't allow me to log in, for some reason? Tracy, what's wrong with using the print screen key? What other ways would you like to use to take a screenshot? Yes it was an urban legend. There was no way to set it up. You didn't even have access to printers except through a program because you had to have the driver via the program to be able to write to the printer other than simple text output. A screen print wouldn't have been possible. For capturing browser shots I absolutely love the "Awesome screenshot" Chrome extension. It lets me choose what to include and afterwards I can edit and annotate the image - all without leaving my browser. It's very helpful when I'm trying to explain things like "where to click" to my more 'technically-challenged' students. Chrome, < [Broken Link Removed] or Safari (download from AS homepage). I use PrtSc (Print screen) Screen Capture extension. Do you have a link, Aqeel? I don't ever remember a day that the Print Screen button ever worked in DOS. When windows came along it may have done a screen copy to the clipboard but it never printed. The keyboard had several keys that didn't function and were eventually eliminated. So you're saying this is an urban legend? Sounds like it was an optional feature that needed to be set up properly. I used Pickpick but nowadays I find de clipping tool form OneNote (part of MsOffice ) more useful as it grabs the source too. FastStone Capture offers multiple ways of screencapping and has a print button. Thanks for sharing this tool, Robert! PicPick -- free for personal use -- is available for Windows only.